From Grade 4-6 I lived in a small town about an hour north of Calgary Alberta. And in the winter it snowed. A lot. And I loved it. The town was small enough that we didn’t have to drive much during the winter. The battery was always out of the car and plugged-in to stay charged. If you needed something from the store, you walked into town to get it. Thankfully, I wasn’t cooped up in the house with the Polar Vortex that the Midwest U.S. and Canada have been dealing with. I would have driven my Mom insane bouncing off the walls of our tiny apartment. I loved it. I had the winter coat, the snow pants, the boots, the gloves, and eventually my own pair of skates. Playing outside as much as possible was my goal. The walk to and from school was often spent on trying to stay on top of the snowdrifts lining the fences on our street. Recess was spent outside in the snow and playing on the small ice field they made for us once the temperature stayed low enough to keep it frozen. On the weekends there were the outdoor skating rinks behind our home or I would walk to the public indoor skating rink in town. The one behind our apartment was my favorite. I would throw on my skates with the skate guards still attached and slide down a small hill to the rink. They would be filled with snow, but they would plow an oval track for us so we could still skate around. Not that we used it much. It was more a game of snowball fights and pushing each other over into the massive piles of snow. When we got chilled, we would dash into the heated shacks. These were small rustic buildings that were kept nice and toasty warm during the cold winter months. We would warm up, head back out, and soon be covered in snow from head to tow all over again. To say I have great memories tied to snow is an understatement. When we moved back to Oregon, it is one of the things I missed most. As an adult seeing snow makes me feel like a kid again. 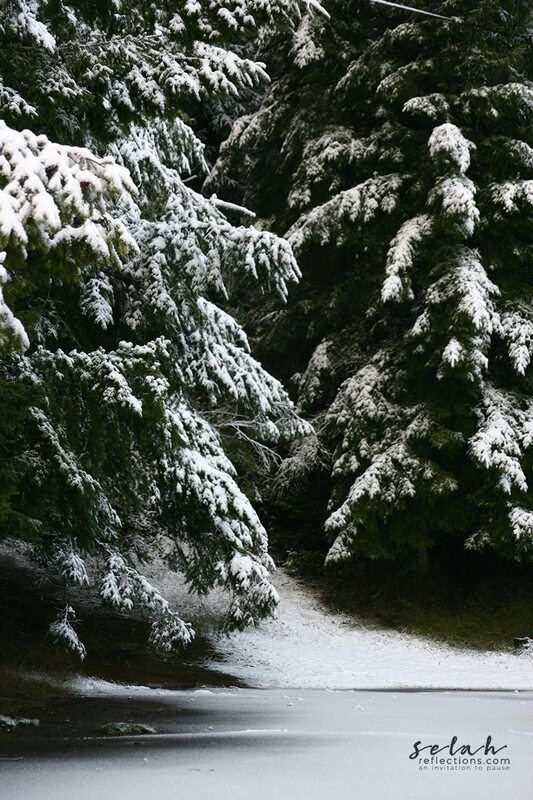 To my surprise and delight, last week we woke up to a snow-covered world outside. 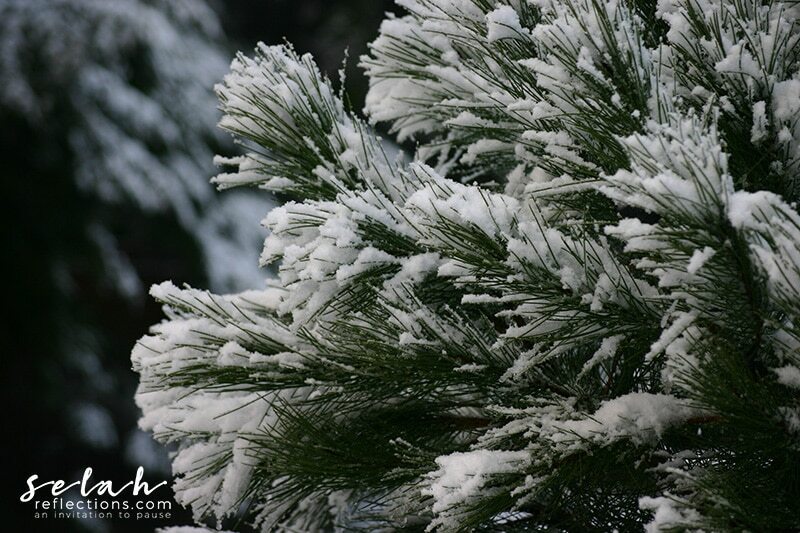 The large evergreen trees were all trimmed in white. The green grass in the yard was barely visible. The gray cloudy sky looked like it was promising more snow. It felt, and looked, magical. My immediate thought was to bundle up, grab the dogs and head out for a walk. Bailey is a beach dog, but he also LOVES snow. 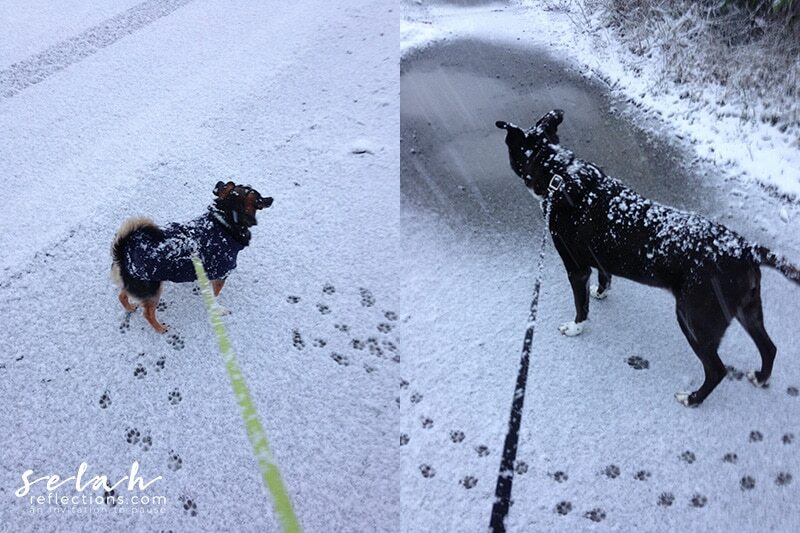 He likes the crunch under his paws and to walk under large branches hanging low, loaded with snow. He runs, he jumps and wants to play all in his excitement. 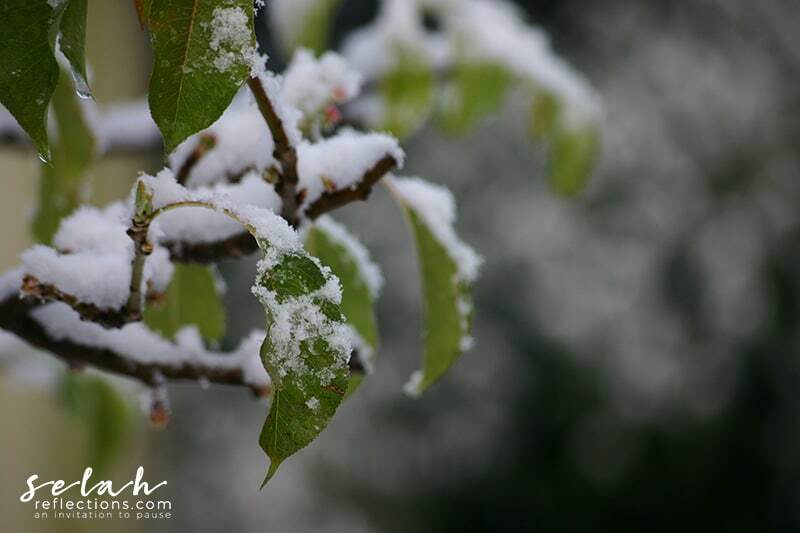 It’s an adventure not to be missed when the sky is full of those large cotton ball like flakes slowly drifting down. We headed over to a church just down the road where I knew the parking lot would be empty and I could let the dogs run around and play. While I explored with my camera, Bailey and my Mom’s dog Oliver explored with their noses. Tails and ears up, noses to the ground running from one thing to the next. Their excitement was contagious, and I couldn’t help but smile. 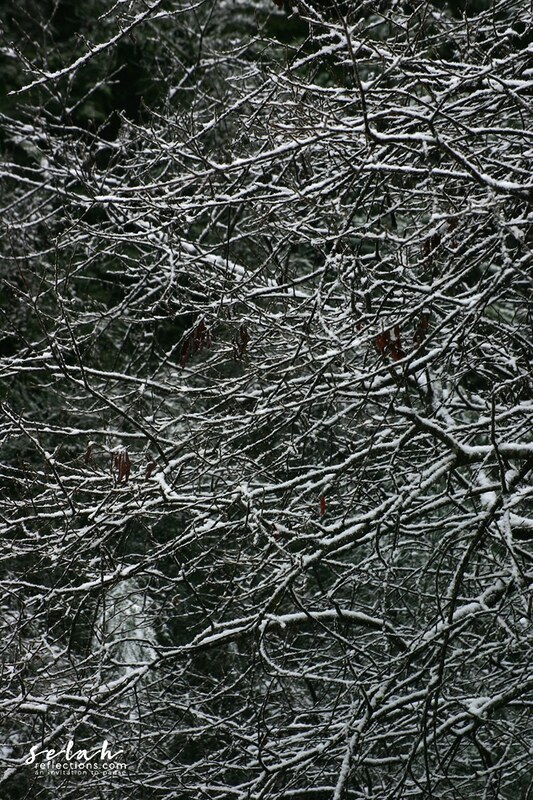 Once we got back home, I continued to watch the snowfall. Looking away was hard. I found it difficult to concentrate on anything but what was happening outside my window. There was so much to see. 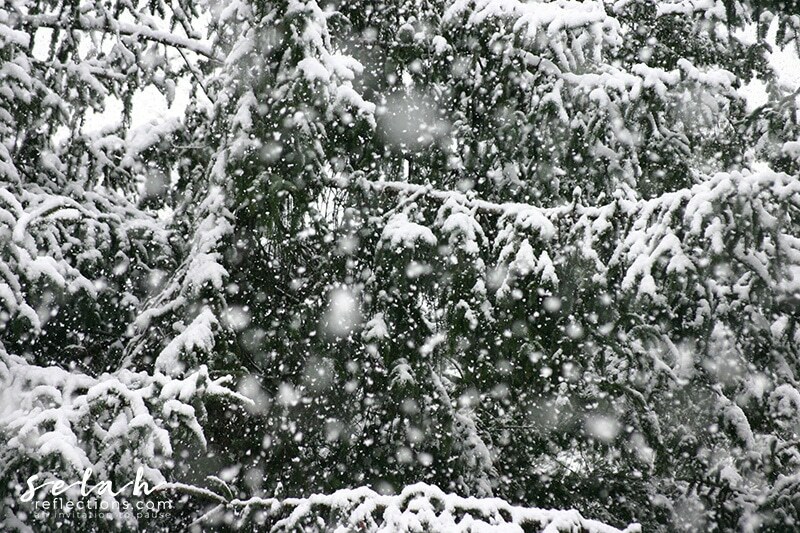 Huge snowflakes were slowly floating down. The small flowering fruit tree in my front yard was looking reading for Christmas. 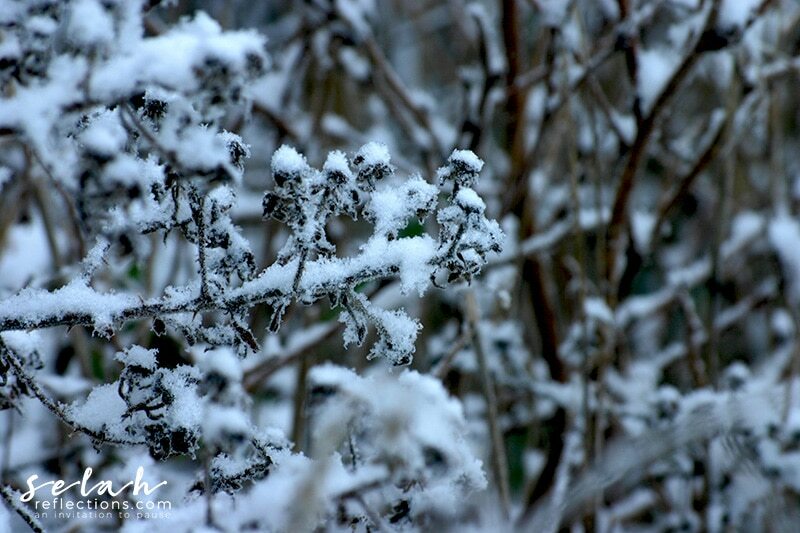 My little garden was barely visible under a blanket of white. It seemed as if the entire scene out my window changed if I looked away, even for just a few minutes. The idea of kicking off my shoes, grabbing a fuzzy blanket, and sitting by my fireplace to watch the magnificent show happening outside was enticing. It sounded like the perfect way to enjoy the moment. Instead, my brain kicked into high gear reminding me of the long to-do-list I had waiting for me. I mean c’mon! Here was this rare treat right outside my door and I’m fighting an inward battle instead of enjoying it. My brain was telling me I was wasting my time. I was restless, pacing back and forth trying to figure out what to do. With a concerted effort, I made the decision to let go of my “should do” list. It was time to start “being” instead of “doing.” It was time to shut down the inner need to be productive, to slow down, let my brain rest and just be. 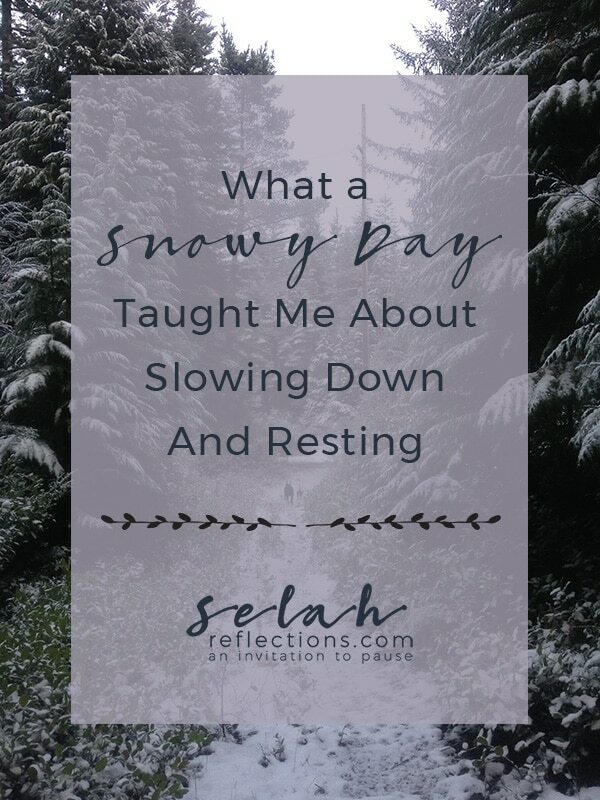 The morning walk, the inner battle, and finally the relaxing into the lovely snowy morning showed me I have so much more to learn about rest. Taking time to enjoy God’s creativity and creation is one of the best ways I know of to find life-giving rest and refreshment. As expected, by the end of the day, most of the snow had melted and faded away. There were lingering thoughts of why it had been such a struggle for me just to enjoy this unexpected treat. There were no appointments scheduled. There were no expectations of what I had to get done except my own. There was an “aha” moment when I realized I was missing the signals that my need for rest was being ignored. Restlessness. Lack of focus. Feeling the need to get “all the things” done, right now. Unable to turn off the brain moving from one idea to the next or to the next item on the to-do list. Each are a signal that something is off. Signals that I often do not recognize until later. Balancing the need for rest and working on my goals is not always easy. I need to do a better job of stewarding of my time and energy. There are many days where I mess up and overdo it. Resting is a vital piece in my physical and mental health puzzle. When I disregard the boundaries, I’ve set for work and rest there is a price to pay. Old habits die hard. But, this is an important lesson I’m learning and a snowy day was the catalyst needed to recognize what was happening. 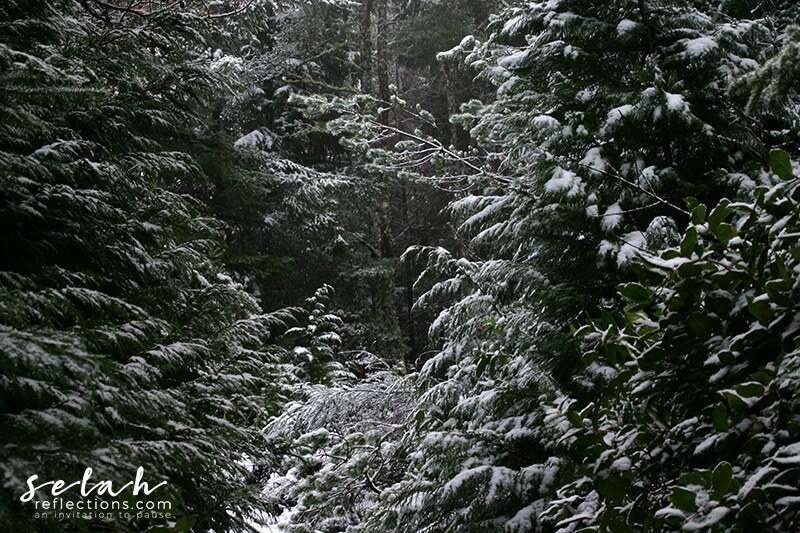 This beautiful wintery, snowy day was the reminder I needed to look slow down, rest, and enjoy the moment. After all, it was an event not to be missed.